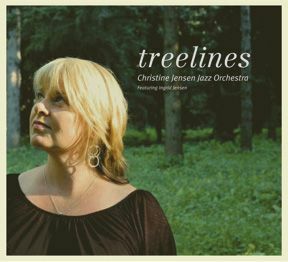 Christine Jensen is excited to present new works with her 18-piece jazz orchestra, featuring some of Canada's most progressive improvising musicians, including Martin Auguste (drums), Chet Doxas, Joel Miller, Eric Hove (saxophones), Jean-Nicolas Trottier, David Grott (trombones), Steve Amirault (piano), Fraser Hollins (bass) and Jocelyn Couture (trumpet), along with Ingrid Jensen as guest soloist. Jensen's compositions focus on subjects that attempt to depict the spirit of Canada's pristine environment. While she has devoted her time to producing and touring her quartet internationally over the past ten years, she has continually augmented her music at home, transporting her compositions through the use of her orchestra - A homage to Canada's environment, this unique project is certain to garner praise for it's timely and important subtext: protecting the unique forests of our magnificent country.